I have been a metallic painting maniac! 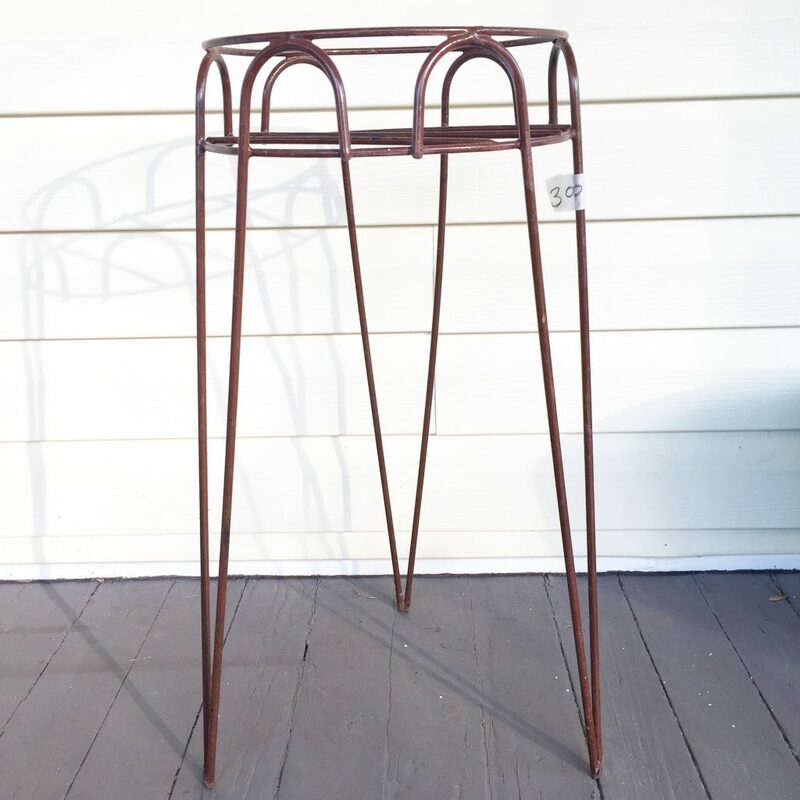 I am always on the hunt for plant stands and they are so expensive, even at places like Target so I was over the moon when I found a simple style at Goodwill for $3. I initially was going to paint it white but thought a metallic copper would contrast well with green. I picked up Rust-Oleum Metallic Spray in Copper and managed to paint everything in sight, including tree branches. 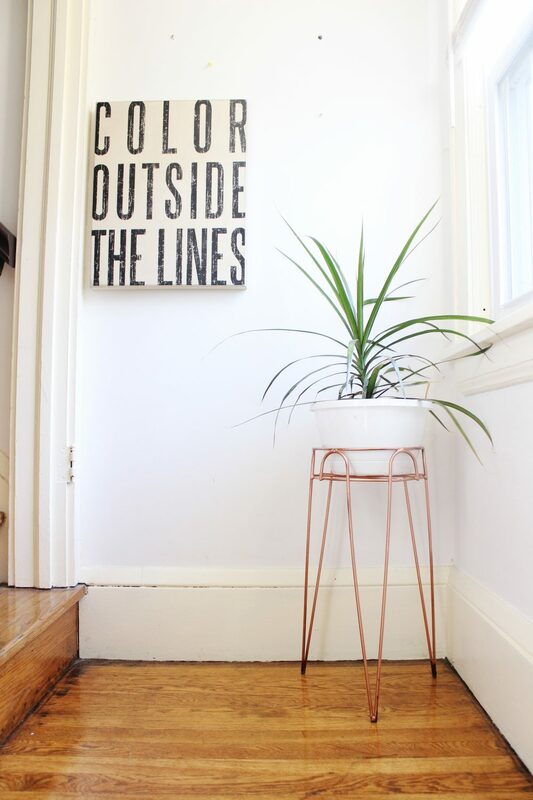 Find a plant stand you like. 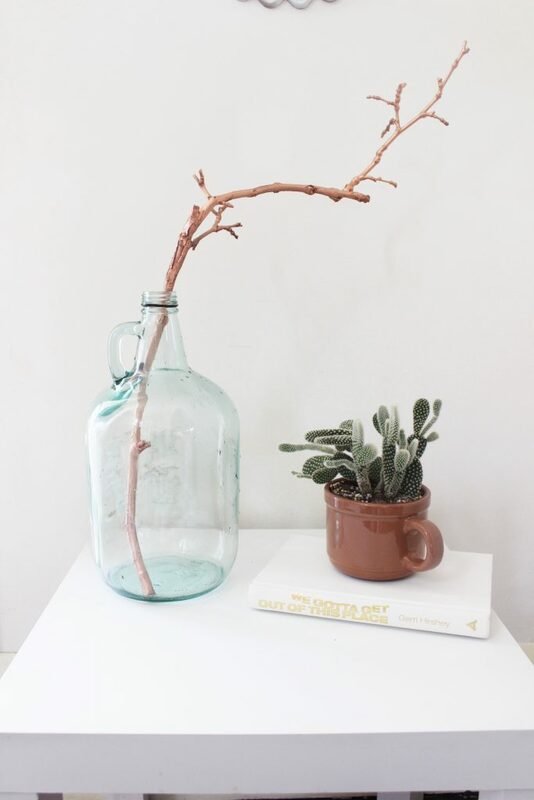 If you aren’t able to find one secondhand, check out this great plant stand. To do the painted branch, find a branch with interesting texture and shape. I used a recycled jug and removed the label with Goo Gone. It looks great on a mantel!